3 BEDROOM TOWNHOUSE with partially finished basement, nice court location easy access just off 10 Mile road west of Haggerty. So close to everything. 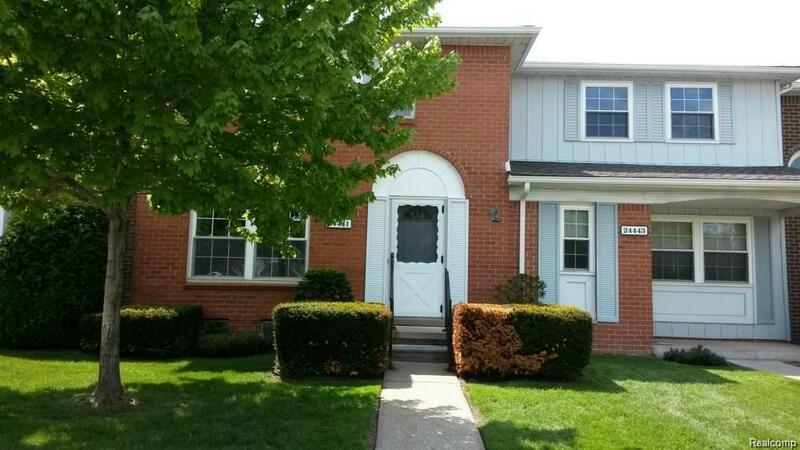 Has 3 bedrooms upstairs, real good size master bedroom with access door to full bath. Main floor with front Living room, kitchen open to family room area with Dining area. Newer hardwood flooring throughout the main floor, doorwall to backyard area. All appliances included, washer & dryer too. Monthly $388 fee is real deal as it includes both water & GAS, FREE HEAT! Crank it up! Close to neighborhood clubhouse and in-ground pool & work out facility. 1 dedicated assigned parking spot right in front and then lots of available spots. Court location with low traffic.